Histories of the Self interrogates historians’ work with personal narratives. It introduces students and researchers to scholarly approaches to diaries, letters, oral history and memoirs as sources that give access to intimate aspects of the past. Historians are interested as never before in how people thought and felt about their lives. This turn to the personal has focused attention on the capacity of subjective records to illuminate both individual experiences and the wider world within which narrators lived. However, sources such as letters, diaries, memoirs and oral history have been the subject of intense debate over the last forty years, concerning both their value and the uses to which they can be put. This book traces the engagement of historians of the personal with notions of historical reliability, and with the issue of representativeness, and it explores the ways in which they have overcome the scepticism of earlier practitioners. It celebrates their adventures with the meanings of the past buried in personal narratives and applauds their transformation of historical practice. 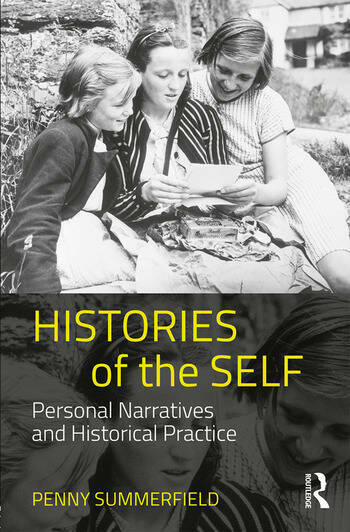 Supported by case studies from across the globe and spanning the fifteenth to twenty-first centuries, Histories of the Self is essential reading for students and researchers interested in the ways personal testimony has been and can be used by historians. Penny Summerfield is Professor Emerita of Modern History at the University of Manchester. She is the author of numerous publications using a range of genres of personal narrative, notably Reconstructing Women’s Wartime Lives: Discourse and Subjectivity in Oral Histories of the Second World War (1998) and Contesting Home Defence: Men, Women and the Home Guard in the Second World War (2007).